Is there a way to avoid feeling bloated after eating? How can I get relief from my allergies? 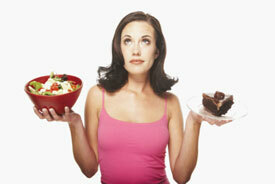 How can I improve my daily eating habits? What can I do to increase my mental clarity? What can I do to feel more energized? How can I improve the complexion of my skin? When are you going to flush out the harmful chemicals from body and take back control of your health and weight? In order to assess whether a purification program will improve the quality of your life, it is important to determine your toxic load. Your toxic load is the amount of toxins that your body needs to process. By answering the following questions, you may gain some real insight as to your current toxic load. Do you eat non-organic vegetables & fruits? Do you eat poultry & meat that are not free range? Do the foods you eat have additives, dyes, or preservatives added? Do you eat fast foods? Do you eat out regularly? Do you drink coffee or caffeinated drinks regularly? Do you drink alcohol or consume drugs? If the majority of your answers are “yes”, then it is likely that your daily habits and your diet contribute drastically to your toxic load. Beyond diet, many external toxins, such as cologne, perfume, cleaning products, cosmetics, aerosol products and pollution, add to your load. Toxins: They are present in all the foods we eat, the water we drink, and the air that we breathe. We are all exposed to external toxins every day, including pollutants, pesticides, and numerous chemicals. The EPA reports that the average American consumes four pounds of pesticides each year and has residues from over 400 toxic substances in their body. More than 3,000 chemical additives are found in the foods we eat. The body was created to handle certain levels of toxicity. The concern is with excess intake and the excess production of toxins, and/or a reduction in the processes of elimination. Any one of these can create a state in which we accumulate toxins faster than we can eliminate them, and over time this can become overload on your body. The answer to all of this toxic exposure is Detox! Purification, also known as detoxification, offers your body additional support to expel natural toxins and minimize your weight, which is important to maintaining your health and vitality. A toxin may produce an immediate or rapid onset of symptoms or cause long-term, negative effects. A recently published research article in the September 2008 peer-reviewed Journal of Chiropractic Medicine discussed the clinical effectiveness of the Standard Process Purification Program. This streamlined program emphasizes whole, organic, and unprocessed foods; whole food supplements; and water. The 21-day purification program is so effective because it focuses on the whole person–making better food and beverage choices, taking whole food supplements, reducing stress, and increasing exercise. The purification program is more than just a diet; it’s a life style change. 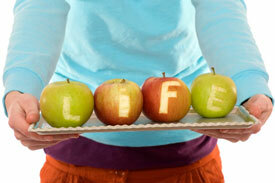 It encourages patients to adopt a healthier lifestyle, which, in turn, helps them look and feel better too. It has been our experience at Oasis Chiropractic Center that our patients lose between 10-13 lbs. in a 21 day period. In addition, they feel better and function better at work, home and in there daily every day activities. The whole Oasis Chiropractic Center staff has done the Standard Process Purification Program at least once and Dr. Starkman does it twice a year. What comes with The Standard Process 21-day Purification Program? The Standard Process 21-day Purification Program includes literature to educate your self on the benefits of purification. The efficient, easy-to-follow program emphasizes whole, organic, and unprocessed foods; whole food supplements; and water. It’s simple, yet effective. 1 SP Cleanse®–purification SP Cleanse contains 20 different whole foods and botanicals, helping maintain healthy liver detoxification and kidney function, and support a healthy gastrointestinal system and lymphatic system. 2 SP Complete® or 2 SP Complete® Dairy Free–nutritious supplement shakes SP Complete™, a whole food nutritious supplement shake, delivers powerful antioxidant protection to support liver detoxification and immune function. 1 SP Green Food®–phytonutrients SP Green Food consists of five organically grown whole food concentrates that support liver detoxification and combat free radical damage. 2 Gastro Fiber® or 2 Whole Food Fiber–fiber support Gastro-Fiber®(capsules) provides dietary fiber to maintain regular elimination and a healthy gut. Support from Dr. Starkman. Dr. Starkman will guide you through the entire process to ensure an excellent result. Phone consults, emails, and private in office meetings are available to you at no extra cost. When you are finished, Dr. Starkman will advise you with follow-up suggestions to help you maintain all of your great results for the rest of your life and give you a Post-Purification Program Guide to assist you in continuing on your path to good health. Detoxification is merely the internal cleansing and purification of your body. Think of it as “spring cleaning” for your insides. Most people lose between 6-25lbs in the 21 day process. This streamlined, easy-to-follow program emphasizes whole, organic, and unprocessed foods; whole food supplements; and water. 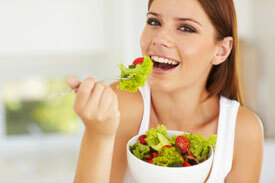 Vegetables and fruit are eaten from days 1-10, with select proteins added at day 11. Whole food supplements taken during the program include: SP Cleanse®, SP Green Food™, SP Complete™, and Gastro-Fiber® or Whole Food Fiber. Other supplements such as Whey Pro Complete, a protein powder with 15 grams of protein per serving, can also be added to the protocol to support purification. If you’re considering detoxification and are interested in learning more about detoxification for weight loss or health reasons, please schedule a complimentary consultation Dr. Myles Starkman. 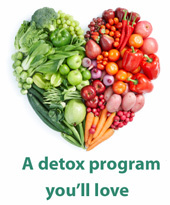 If you’re interested in improving your body and lifestyle by means of body Detox contact our office today to schedule your free nutritional consultation, click here to schedule an appointment.